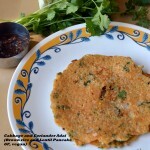 Paniyaram is a south Indian snack usually made from left over idli/dosa batter. When it is made in a Appe/Abelskiever pan, it is called “kuzhi” paniyaram. With the DFT team celebrating India’s independence day this week, I took the opportunity to make it colorful with veggies and (vegan) cheese. My family really loved these bite sized snacks. Quick and easy to make, they will please grown ups and kids alike! 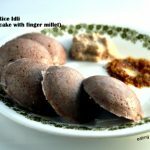 Making idli batter using mostly whole grains like brown rice, oats and millet makes it suitable for diabetics and others too, since whole grains contain fiber, micro-nutrients and also digest slower than refined grains. The fermentation process itself adds probiotics helpful in digestion. Broccoli is a ‘superfood’. Loaded with vitamins A, C and antioxidants, it is a low calorie vegetable perfectly suitable for diabetics. 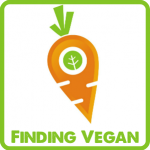 Carrots do not have to be avoided in a diabetic diet, even though they are sweet. In fact, it is highly recommended for their beta-carotene and support for vision. 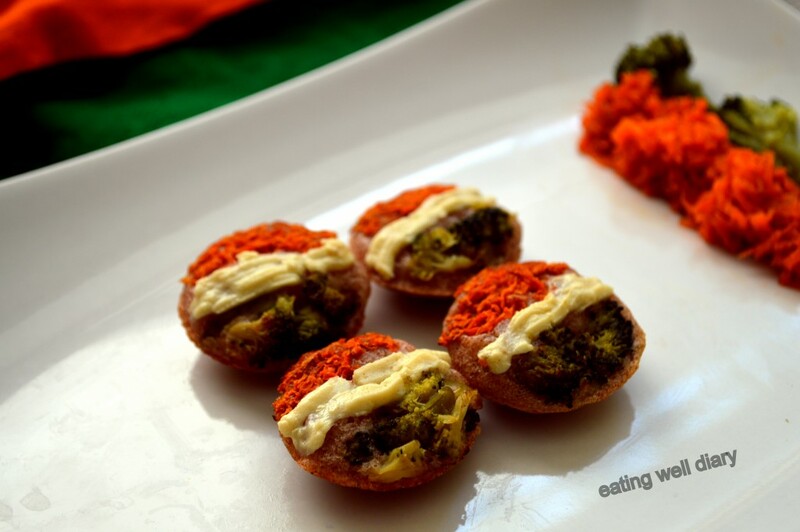 Here’s a quick picture tutorial of making tricolor paniyarams with minimal oil. Shredded cheese (vegan)- 1 tbsp. 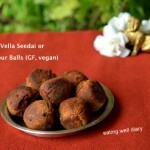 a. Soaking the grains (brown rice and idli rice) and lentils/fenugreek separately overnight. b. Using a good blender or wet grinder, the lentils are ground along with fenugreek seeds. c. The soaked grains are ground next, and towards the end, quick oats and ragi are added. d. Both the ground lentils and grains are mixed and the resulting batter is fermented for about 8 hours till it increases in volume and gets a slightly sour taste. e. This fermented batter can be stored in a fridge for 3-4 days. 2. Take the required amount of batter in a bowl, mix in ginger and chopped onions. 3. Spray a heated paniyaram pan with coconut oil. Add a spoonful of batter to each hole. 4. 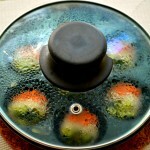 Carefully arrange shredded carrots and steamed broccoli in each. 5. Close with a lid and cook for a few minutes on medium heat. 6. 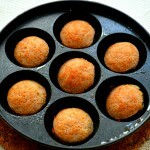 Flip each paniyaram and allow the other side to heat. 7. Flip back and arrange shredded cheese as a band in the middle. Wait till it melts and remove from the pan. 8. Serve warm with any chutney/dip. Recommended serving: 2-3. 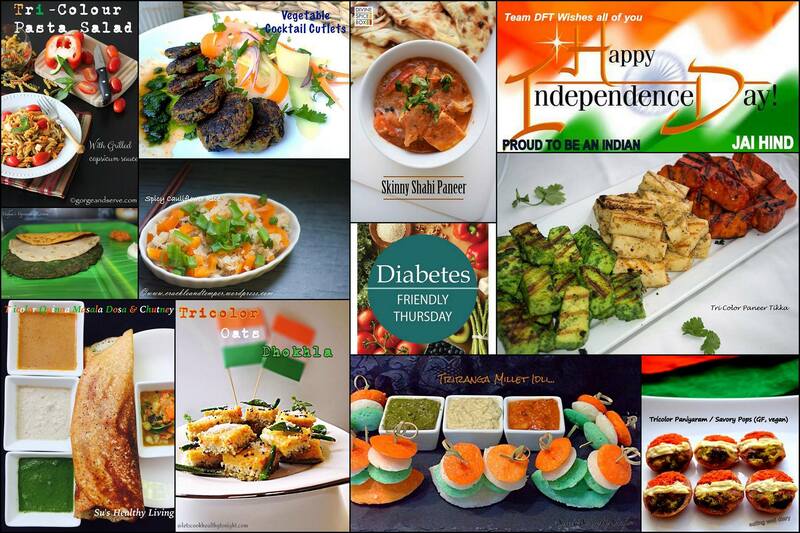 Check out the other Tricolor Recipes from my friends in the DFT group! These are such good looking paniyarams ! Really loving the tri-color appeal here ! I love your recipe for the idli. 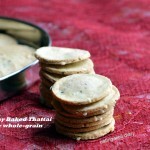 I have always made Ragi dosa but never tried adding Ragi flour to the idli batter! I love the idea. 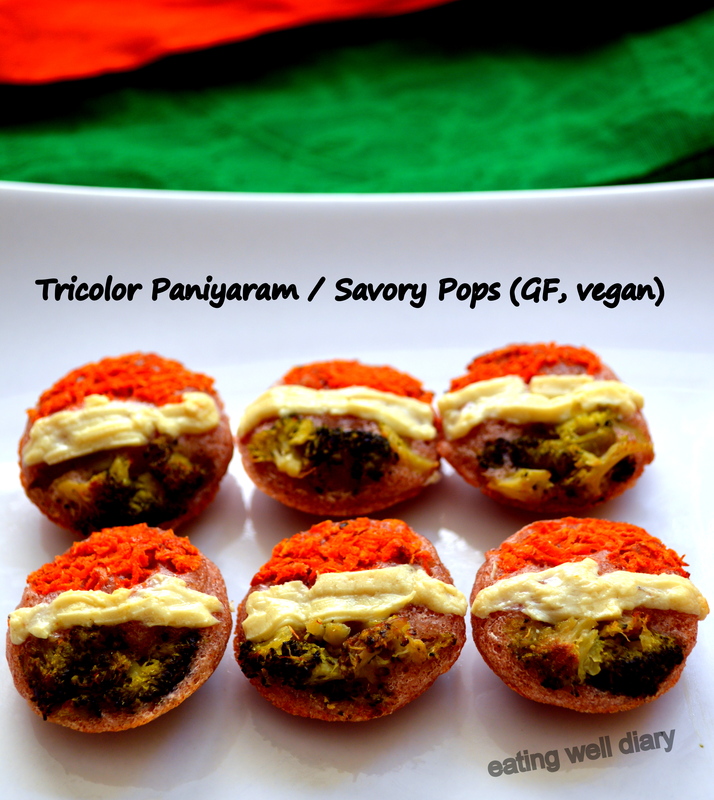 Your tricolor paniyarams are super-cute! Happy Independence Day! Awesome apsara.. Great way to include broccoli. Loved your idly batter recipe. 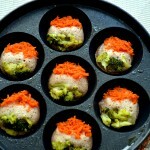 Pingback: Tri Color Oats Dhokhla | LET'S COOK HEALTHY TONIGHT! Very nice Apsara.. These cuties look so beautiful..